The Friends of the Stewartstown Railroad, Inc. are soliciting donations to install 25 new bridge timbers on the historic Iron bridge. Also known as Valley Road Bridge, or bridge #7, it is the single oldest structure on the railroad. While the Stewartstown railroad was constructed in 1885, this bridge was originally built for the Pennsylvania Railroad in 1870. The frugal Stewartstown Railroad purchased the bridge second-hand and moved it into place around 1885. In approximately 1920, the original Pratt truss bridge was supplemented with a girder structure. It was added to the National Register of Historic Places in 1995. The rail line in the nearby vicinity has been out of service to trains since 2004 when a minor derailment demonstrated the need for a significant tie rehabilitation program. Running full-sized trains over the revitalized bridge will be a significant milestone in the expansion of passenger excursions. Train rides currently stop just short of the Iron bridge due to the need for bridge timber replacement. New bridge timbers have already been purchased. Funds raised will be used to pay for installation by a professional contractor. Unfortunately, due to the height and length of the bridge, we do not feel comfortable asking volunteers to perform this dangerous work. Donations in excess of the contractor fees will be used to purchase ties to expand the length of class 1 track beyond the bridge. A total of $9,500 is needed and $7,500 has been raised so far, nearly 80%! We sincerely thank John von Briesen for his kind and generous donation to help kick off this fundraiser. The Friend’s goal is to raise the remaining funds within the next 60 days. We need assistance from people like you to make this dream come true. After an absence of 15 years, passengers will once again be able to experience a ride over the more than 150-year-old bridge on a Stewartstown Railroad train. Please help make this happen! Consider making a tax-deductible donation. Thank you. 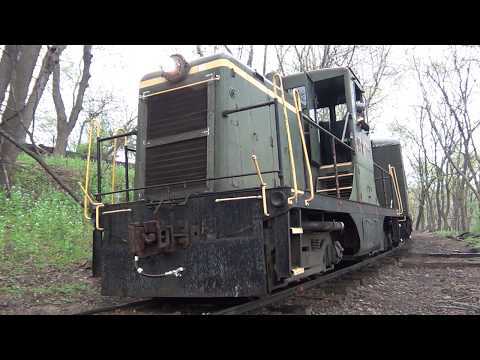 The Friends of the Stewartstown Railroad, Inc., are a Pennsylvania non-stock nonprofit corporation, tax-exempt under IRS regulation section 501(c)(3), operated by unpaid volunteers dedicated to the preservation of the Stewartstown Railroad.